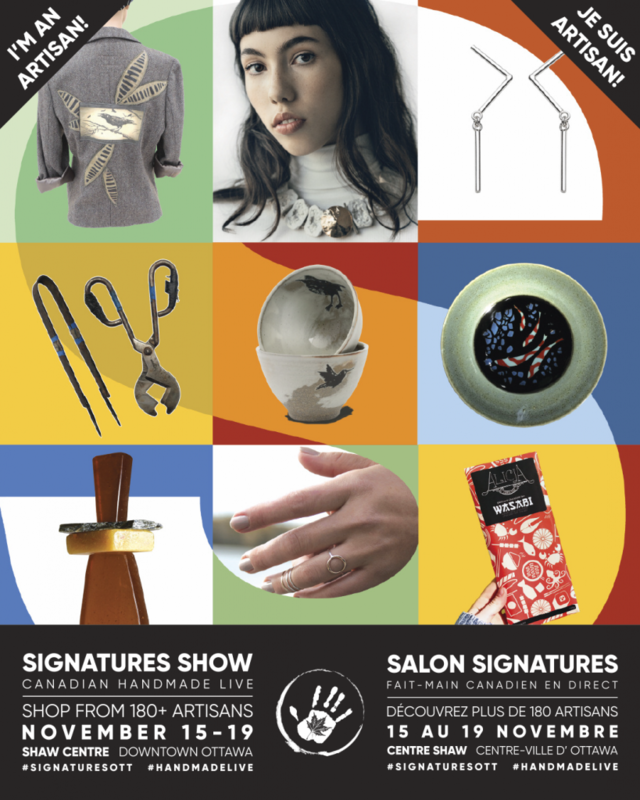 Bombshell Revival will once again be celebrating the beginning of the Christmas and holiday season by exhibiting as an artisan and vendor at the Signatures Show at the Shaw Centre and the Christmas Market at the Canadian Museum of History in Ottawa. I have done both of these shows a few years in a row and each year is better than the last and I expect this year will be no different! I have created new and exciting designs to add to your wearable art wardrobe, some of which you can preview on Bombshell Revival’s Instagram and Facebook accounts under Bombshell Revival. I have also been honing and exploring my millinery skills over the past year and will be showcasing some new hats to spice up your winter coat as well as some whimsical fascinators for that special holiday party or event.